Hosted once more by the wonderful Battersea Arts Centre (where we were in 2009). The REconomy Project Day (Friday 14th September) at the Transition Conference will explore the conference theme of « Building Resilience in Extraordinary Times » through an economic and entrepreneurial lens. The Youth event (Friday 14th September) is entitled « Which Future do We Want? » and will be a collaborative exploration into how young people can find or create meaningful livelihoods in a rapidly changing world. An international gathering of National Transition Hubs (Monday 17th to Tuesday 18th Sept) will circle up for two days of problem solving, mutual support, visioning and planning to help ensure that there’s a solid, proactive, motivated and well-skilled group helping support transition wherever it appears around the world. As preparations for the 2012 Transition Network conference at Battersea Arts Centre (BAC) gather pace, Rob Hopkins spoke to David Micklem, Artistic Director at BAC, and asked him about how the 2009’s Transition Network conference had impacted on BAC, and his hopes for this year. How Much of a Difference Is Your Initiative Making? How do you know what impact your Transition Initiative is having? We’d like to know if and how you learn about, or evaluate your transition initiative, what resources or processes might be useful, or what gets in the way. The results will be used to inform the Transition Network, Low Carbon Communities Network and the development of evaluation and monitoring resources. As Rob is on holiday there is only the US Edition of the new Round Up this month. Simon Carter working with Transition in Tewkesbury asks ‘where do local currencies go from here’? A two part series from fellow of the New Economics Foundation David Boyle. Part one of a two part series from the New Economic Foundation’s David Boyle on money and other ways of monetising our wealth. Part two on alternative and complementary currencies. An article in The Land explores the extent to which agriculture could create land-based employment in a time in desperate need of employment opportunities. Rob offers an opportunity for a group moan about slugs, something it’s good to do on occasion, especially during a summer like this one. The Social Reporting crew are now officially on their summer break. As the holiday season sets in, we’re kicking back and slipping into a more spontaneous post-when-you like rhythm. We’re sending everyone postcards though! Greetings from our events, our gardens, our gatherings in Transition. Places we are visiting now, places we have visited in the past, abroad and at home. We’re posting from the city and the country, from the backyard and the beach, on the road, on two wheels, as we walk, swim, picnic, camp, celebrate, cook and sing. We’ll returning to our usual format at the end of the month, writing daily on a set theme, with free weekends for news and one-off posts. We have some ace subjects coming up including Flying, Deep Time, Harvest, Hierarchy, the role of the Network, Livelihoods and Trees in Transition. We’re going Back to School in our first week of our autum series, starting on Monday 26 August, followied by a look at the third section of Transition Ingredients and Tools. Then we have a fortnight around the Transition Conference, including its companion events. Seven of us will be there taking part and also reporting live from the weekend’s full-on activities. We hope to be setting up our own reporting and skill-share « desk », so do come and find us. Meanwhile we hope you will keep travelling alongside us this August. Bonnes vacances, dear Readers, and see you soon! Welcome to our first Regional Week where the Social Reporters and their guest bloggers will be introducing their respective regions. Forming networks of Transition initiatives is one of the key ingredients in the third stage of The Transition Companion and one of the main reasons we began this blog was to hear voices and experiences from inititiatives all around the UK and connect up the dots. We plan to run our regional weeks every two months, beginning in London in October. Stir Magazine is a bi-monthly community-building online magazine that features articles and interviews on radical gardening, community-supported agriculture, climate activism, democratic education, permaculture, the occupy movement, the commons, grassroots sports, food justice, cooperatives, practical philosophy and more. They are also currently running a Sponsume crowdfunding campaign to publish a free book of the most inspiring and transformative community-led responses to the financial crisis, climate change and other contemporary challenges. Giving £20 or more will allow them to make the book freely available, and get it into the hands of the campaigners, transitioners, occupiers, and general movers and shakers who want to change their communities for the better. Transition Network has joined the Energy Bill Revolution alliance, calling for warm homes and lower bills. We are facing an energy bill crisis. Families are suffering huge financial hardship, and one in four households can’t afford to heat their homes. This number is predicted to rise to one in three households by 2016. Cold homes are damaging the health of vulnerable members of society. The Energy Bill Revolution alliance is calling on the Government to use the money it gets from carbon taxes to make our homes super-energy efficient. This is the only permanent way to drive down energy bills and end fuel poverty. From next year the Government will be collecting over £2 billion in carbon tax every year, rising to £4 billion by 2020 and £7 billion by 2027. Recycled back into energy efficiency programmes, this would be enough to super-insulate more than 600,000 homes a year, bringing 9 out of 10 homes out of fuel poverty. It could also quadruple carbon emission savings from households compared to the government’s new energy efficiency policies and create up to 200,000 more jobs – exactly what we need to support the UK’s economic recovery. Please take two minutes to sign the petition, email your MP, and ask all your supporters and networks to do the same. Thank you for your support. We’re delighted with the feedback from the preview edition. Copies still available for order and there will be a copy for everyone at the Network Conference, plus you can read it online. Some copies also will be in the Gaia Dome at Sunrtise Off-Grid. At the Conference we will be evaluating how big the appetite is for future editions. So please fill in our survey and come to meet the editorial team at the conference launch and stall. September SuperHome Open Days – Join a guided tour for ideas for greening your home. Switch off and turn on! 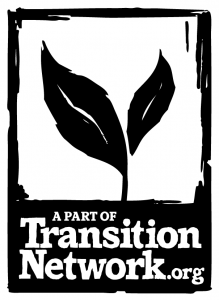 Transition THRIVE course – can be combined with REconomy Day and TN conference! This 2-day Transition THRIVE course will run on the two days directly before the Transition Network conference. We’ve designed this particular instance of the course to be flexibly integrated with the other conference events so that you can choose the learning experience that works best for you. This advanced training course will help you to sustain momentum both in your Transition Initiative and also at a personal level. It’s packed with ideas and inspiration to help you move your Transition Initiative to the next level. Click here for course details. Trainers: Naresh Giangrande (Transition Totnes and Transition Network training’s co-founder) andMandy Dean (from Transition Bro Ddyfi Trawsnewid). Booking: At the conference, the THRIVE course intertwines with the REconomy event giving you the option to attend the REconomy day instead of second day of the THRIVE course. A main TN conference bundle pass is also available. To view all available ticket combinations and to book, please click here. Costs & Booking: £105 for both days (Bursaries are available!). Click here to book.